7. Hook End Manor, Checkendon, UK. Destined to later be the home of Pink Floyd’s David Gilmour, this storied Elizabethan mansion in Oxfordshire was built in 1580 for the Bishop of Reading, and is thought to have served as a mental asylum during its long history. 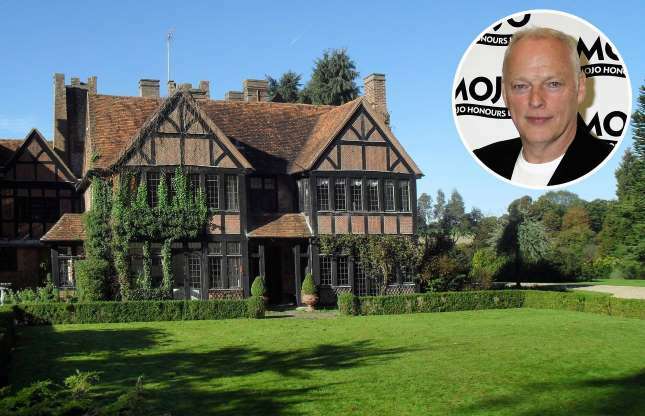 Selfridges owner Sir Charles Core acquired the 10-bedroom manor house during the 1950s and sold it on in 1972 to Alvin Lee, lead singer for the band Ten Years After, who built a recording studio in the barn.